Between traveling for Thanksgiving, report cards, parent/ teacher conferences, and household duties I have been busy, busy, busy. I swear the time between my birthday and New Year’s feels like a whirlwind. 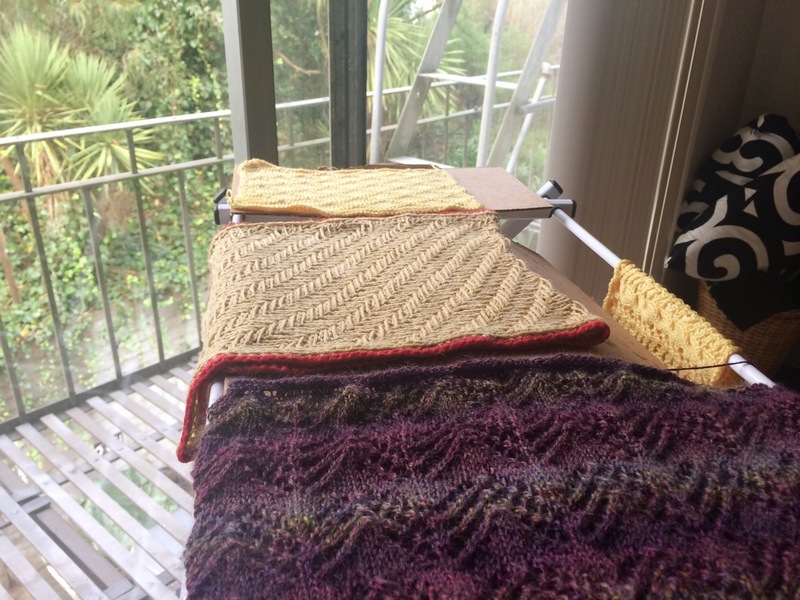 Thankfully, I have made time to complete some knitting projects. It is the only thing that is keeping me sane. As of right now there are 4 projects currently being blocked. Thank goodness my boyfriend accepts my excessive knitting because the living room is beginning to be overtaken my my crafting. 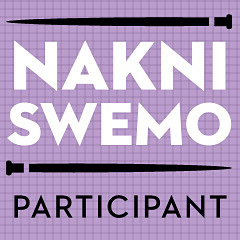 First, I finished my #nakniswemo2014 project. Well I should say almost finished. I am still scouting out for the perfect buttons. I would have been finished earlier except I had some issues. The first issue was that I did not think ahead when I decided to lengthen the sweater. So when I tried it on before working the sleeves I felt like such a dummy. The lower section did not fit across my middle…I forgot to add stitches to account for the larger part of my torso! I ended up frogging about 3″ back :(. My second issue was that I wanted to make the button bands thicker, however, instead of doing it correctly (measuring and accounting for additional rows) I was lazy and eyeballed it. Guess what happened to the button band? If you said “She had to frog it,” you are the lucky winner!!! All in all I now have a sweater that fits the way I want it to. Morale of the story: Think out the pattern thoroughly before you jump into it. I finished my Prismatic Scarf awhile ago. However, I am just now getting around to blocking it. I decided to use a neutral color rather than a variegated yarn as I made this for someone in a secret craft swap for Makers for Makers (see group on Ravelry). I also crocheted a single chain around the edge to jazz it up a bit. 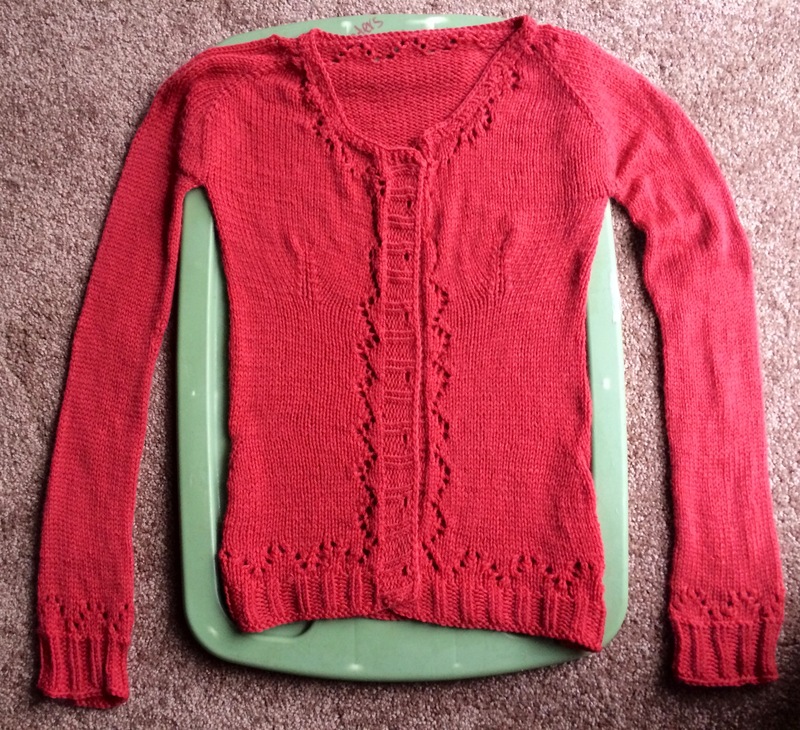 The yarn is Rowan’s SoftKnit Cotton that I used for my Flax sweater. 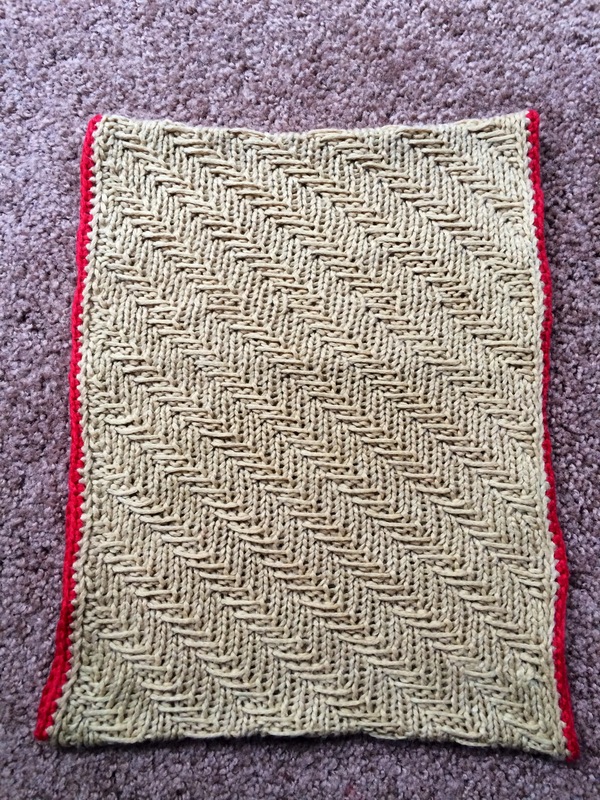 I really liked this pattern and will probably make another using variegated yarn for myself. I knitted the piece to a short cowl length and then sewed the seam. I am sure you can make it in the round as well, but I was feeling like knitting in short rows at the time. Sorry for the short and hurried post. I have more work to do and projects to make! I promise I will post more projects soon! Happy Knitting!